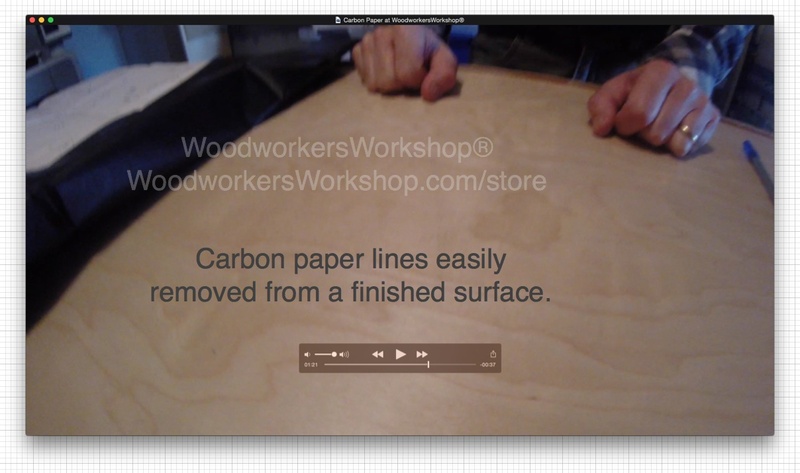 One of the easiest ways to transfer project lines to a wood surface is to use a sheet of carbon paper. Carbon paper is called many other names, like tracing paper (for tracing lines to another surface), or copy paper, or graphite paper. Traditionally used to make duplicate and triplicate copies when using a typewriter. Of course, typewriters have fallen by the wayside in favour of computers. But carbon paper is still in demand. Some companies sell it in 4 sheets packs, and we do as well. But we also sell them by the single sheet. Below area few photos and a short 2 minute video on how to use the carbon (tracing) paper we sell. 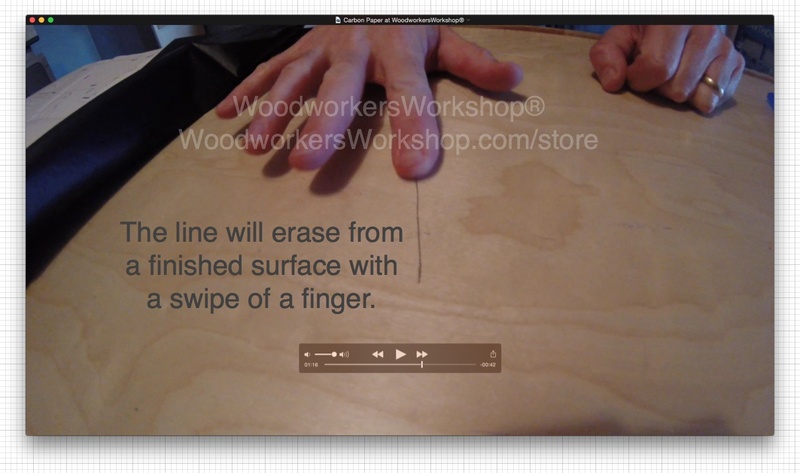 Easy clean up of tracing lines.